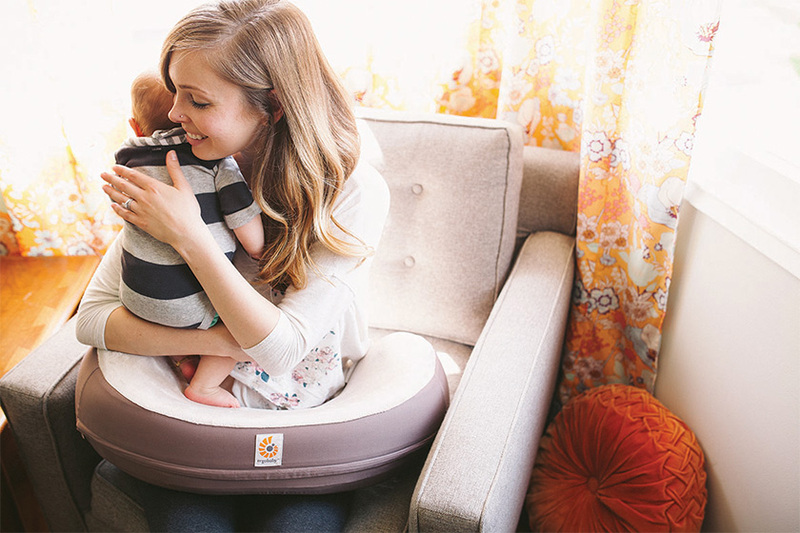 If you have ever experienced the dramas of getting comfortable to feed a hungry baby, you’ll love the new Ergobaby Natural Curve Nursing Pillow! 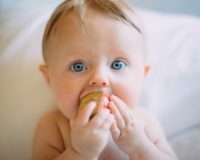 Maintaining the brand’s reputation for ergonomic design innovations, Ergobaby has partnered with lactation experts and breastfeeding mothers to create the perfect foundation for you and your baby to develop a comfortable feeding relationship. Designed to replicate the shapes created by holding your babe in your own arms, this pillow allows you to hold and cuddle your precious bundle without the inevitable development of muscular strain most commonly felt through the shoulders, arms, neck and back. Unique solid foam provides a delightfully firm support for you to feed in relaxed comfort.! The pillow’s curvature encourages an ideal tummy-to-tummy position with the flexibility of allowing you to find your baby’s perfect latch. Smart contouring also supports your little one’s head above tummy-level to aid digestion, assisting to reduce the instances of reflux and colic. "As a second time mom, I can say with confidence that this is the best nursing pillow out there. My happy baby and my healthy back are proof. The innovative curves allow my baby to stay comfortable and feed properly - latching properly is critical to avoid pain. The extra height and firmness of the pillow has been a blessing to my back - I can't say that enough. I am so grateful as the pillow has made nursing enjoyable"
The Ergobaby Natural Curve Nursing Pillow comes with a removable cover in a versatile, two-tone neutral colour. The plush, pile fabric lining the pillow’s curve is softly gentle on baby’s skin and contrast fabric is lightweight cotton poplin, making the cover machine washable and quick to dry. Whether breastfeeding or bottle feeding, the Ergobaby Natural Curve Nursing Pillow gives you the confidence to give your baby the best start. The super-supportive Ergobaby Natural Curve Nursing Pillow is available through Baby Bunting stores Australia-wide.